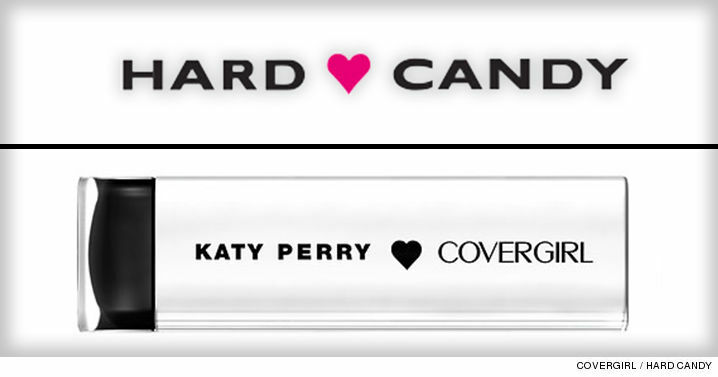 Katy Perry’s CoverGirl makeup line has come under fire from cosmetics company Hard Candy, who believes the generic heart logo on Perry’s products is a ripoff of their design. Hard Candy is reportedly suing Procter & Gamble — CoverGirl's parent company — for infringing on their design, according to TMZ. The company requests CoverGirl remove Perry’s line from stores, and pay them a percentage of the earnings it's garnered since its Spring 2016 launch. TMZ notes that Hard Candy has not provided an example of the exact trademark infringement they’ve accused Perry’s line of, but they've likely taken issue with the similar heart logo planted smack dab in the center of both their and Perry’s logos. Perry launched her cosmetics line back in April, and it provided something of a cheaper, drugstore alternative to your more expensive celebrity lines (a la Kylie Jenner). The CoverGirl set offers 13 demi-matte lipsticks and two mascaras, one blue and one black. Perry has yet to publicly comment on the lawsuit — but she's been pretty busy promoting her latest single "Rise," so her focus has been elsewhere. She even managed to turn all that Taylor Swift drama into one of the greatest promo grabs the Internet has ever seen: In the midst of Kim Kardashian's massive Swift expose, Perry -- well aware all eyes would be on her as the Internet waited with baited breath for some sort of comment -- tweeted out "#RISE above it all," along with an iTunes link to her song. Your fave could never.